Looking for residential or commercial pest control in Rancho Cordova? We can help! When you call someone to take control of your pest problem, the last thing you want is for the pests to come back again and again. At Earthwise Pest Management, we offer a method of pest control called Integrated Pest Management (IPM). With IPM, we limit the use of pesticides and messy rodent traps and instead get to the bottom of why pests are entering your property. When we find that information, we can take steps to prevent continuing infestation for the long-term. Get in touch to learn more! Earthwise Pest Management is proud to serve the Greater Sacramento area, including sunny Rancho Cordova. As your Top Rated Local® pest control company, you can count on us to provide excellent pest management services regardless of whether you are dealing with mice, termites, bed bugs, spiders, or some other nuisance. Termites are the last pest homeowners want to encounter. This is especially true considering that termite infestations can sometimes go for years or even decades before they are caught. By the time a termite problem is discovered, much of the damage has already been done. For that reason, we suggest regularly having termite inspections performed in order to catch problems in the early stages. If you’re experiencing a rodent problem in Rancho Cordova, make sure you know who to call! At Earthwise, we understand what draws mice and rats to homes and commercial spaces. We will perform a thorough inspection to determine how and why rodents are entering your space. From there, we can block any vulnerable areas, remove anything that is attracting the critters, and take steps to prevent future furry friends from showing up. Nobody wants to discover that they have been sharing a bed with parasitic bugs, but unfortunately, bed bugs can infest any home. They most often enter your space after hitching a ride on a suitcase or on your clothes after spending time in a shared space such as a movie theater or airplane. If you notice any signs of a bed bug infestation, make sure to contact Earthwise immediately. For bed bugs, Rancho Cordova residents will be pleased to know that we use non-chemical heat treatments to exterminate bed bugs and their eggs. Not only is this the most effective bed bug treatment, it also is the safest for you and your family. Whether you have a specific infestation of one type of pest, or too many pests of various kinds are finding their way into your home, we can help. Our highly trained specialists are experts at identifying different types of infestations and understanding the habits and behaviors of different types of pests. Using this knowledge, they can efficiently devise a plan to eradicate an existing infestation and prevent future ones from developing. When it comes to pests in your commercial space, having a good pest control company by your side can make or break you. Whether you own a restaurant, retail business, office space, medical facility, warehouse, or another commercial property, we can help ensure that it is pest-free year-round. Get in touch with us today to learn more about our commercial pest control services. Many people choose to apply pesticides on your own when they discover that they have an infestation in their home or business. What they don’t know, however, is that chances are they are not doing it correctly. We don’t fault them for this, after all, it’s not like everyone is a pest management expert. On the other hand, our team is actually made up of experts in this field and this means we know how to do the job correctly every single time we do it. Using the very best pest control products that pose the least amount of threat to you and your family, Earthwise takes its application processes very seriously as we want to do everything we can to ensure your space remains safe. Earthwise has been in the pest management business long enough to know how to get the job done correctly each and every time. Not to mention, we are all too familiar with California pests. If you have pests in your Rancho Cordova home or business, we know how intensely this can impact your life and your overall happiness. Additionally, we know how to properly eradicate these pests so that you can feel comfortable in your space once again. Our expertise is sure to put you at ease throughout the eradication process. If you suspect that you have a pest problem in your home, you certainly don’t want to have to wait for an extended amount of time for the issue to be resolved. When you call Earthwise Pest Management, you will talk with a friendly and experienced pest specialist who can help you to identify which pests are plaguing you and then come up with a plan of action. Our pest control team will then come to your home or place of business quickly in order to remedy your problem. We never want our customers to have to live or work in an uncomfortable or unsanitary environment and therefore, we will arrive and work quickly. Regardless of whether you need pest control for your home or commercial space, we have the knowledge and tools needed to get the job done. With our effective pest control methods, we take care of the existing problem while taking action to prevent future infestations. By doing this, we offer our clients a long-term pest control solution that they can count on. 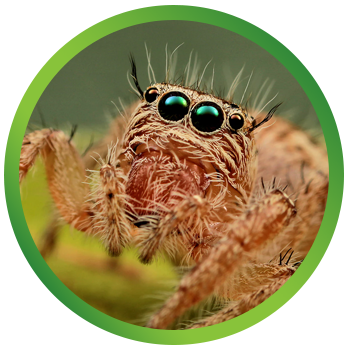 To experience the difference that Earthwise Pest Management makes, get in touch with us today!